Today the Public Accounts Committee released their findings of their enquiry on the reasons for the failure of the Green Deal, which ended up making only 14,000 loans (many of which were for boiler replacements, not the ground breaking energy efficiency measures anticipated) which meant that each loan cost the tax payer £17,000 – which doesn’t include the actual loan. To put this wasted per loan cost of £17,000 in context, that’s the equivalent of 1.5 detached family houses externally rendered or a whole house of triple-glazed windows, or roughly three domestic solar PV systems at 4 kWp in size. The Public Accounts Committee found that DECC implemented the Green Deal in 2013 without testing it with consumers, that the system was too complicated, the interest rates were too high and that consumers weren’t properly informed of the benefits of energy efficiency work on their homes. Worryingly, the committee also found that DECC had taken a “blinkered approach” to the Green Deal and didn’t set appropriate success criteria to assess progress against expectations. The committee also noted that the comfort benefits of the proposed measures weren’t really discussed with homeowners – it was sold as purely an energy efficiency scheme. Most people want to live in a warm, comfortable and controllable home – which is what is delivered when you get the right measures implemented properly by people who know what they’re doing. Without wishing to say we told you so, we actually did! At a meeting with DECC which was arranged following Chris Huhne’s visit to our Lena Gardens project (the first passivhaus retrofit in the UK) we explained all of the points above and were never invited back. At Enhabit we’ve worked on over 400 projects to make them more efficient and have a pretty good idea of what homeowners want and what it takes to make energy efficiency improvements successful. Whilst always advising our clients of the availability of the Green Deal during its short life, not a single one of our clients ever took it up, citing reasons such as the interest rate and the complicated nature of the Green Deal which were all discussed by the Public Accounts Committee. Additionally, more interesting reasons included the unwillingness to saddle the property with loans that potential purchasers might be put off by and, due to the way the green deal was set up, the perceived lack of choice as to contractor. Clients were therefore willing to find the extra funding (or find some other form of saving energy) rather than put up with these disadvantages. There are also a number of more practical issues. Some of the measures recommended are relatively disruptive and those who would not be undertaking renovations anyway would be put off by this. A number of measures also require planning permission and there was little assistance or guidance as to how to obtain this and the cost of doing so was not factored into the payback calculations and made everything just a bit too much effort. Whilst the wasted money is a terrible shame, particularly in this climate, what’s potentially worse is the damage done to our industry. Despite wishing to implement high levels of consumer protection, the drive for volume attracted companies whose tactics included pressurised consumer sales. The Green Deal was consistently in the top 5 of all nuisance calls received. We also regularly met people who had paid between £60 and £150 for a Green Deal assessment, having been told that it would save them hundreds of pounds, only for them to receive recommendations that were so standard and lacking in detail, that the recipient was at a loss as to which measures to adopt and therefore abandoned the whole thing. 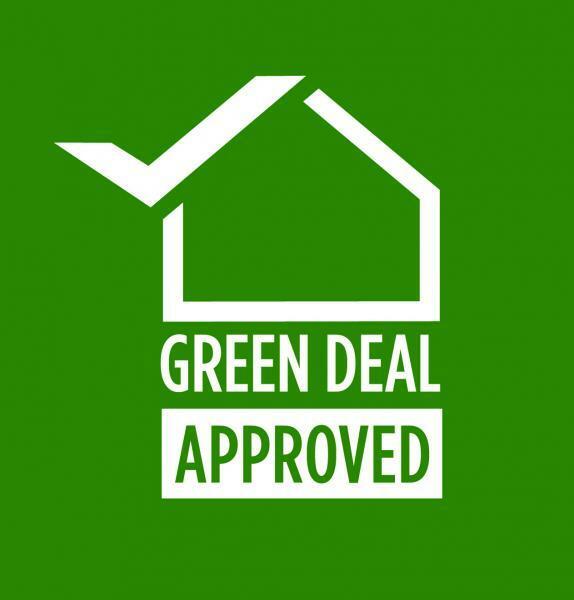 The standard of recommendations is hardly surprising when you realise that to become an accredited Green Deal assessor required just a week’s training in addition to the short training required to become an EPC assessor. 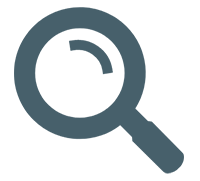 In contrast, Enhabit’s advisers each have a degree in engineering, architecture or building physics and are required to undertake detailed training on site and adopt continuous professional development. Other clients report receiving quotes for big ticket items from accredited Green Deal installers which were higher than quotes received from their usual contractors by exactly the amount of ECO subsidy they were entitled to. So it didn’t really provide anyone with a deal, other than some installers who were happy to swallow up the extra cash for the same service. All of this has created a deep lack of trust in an industry which is just in its infancy and is, by the admission of the Public Accounts Committee, pretty important. The UK’s 27 million homes are responsible for more than a quarter of the UK’s total carbon emissions and the UK’s housing stock is among the least efficient in Europe. The one positive thing that has come out of all of this is that during the term of the Green Deal over 610,000 Green Deal Assessments were undertaken and 1.35 million homes had measures installed (mostly through ECO which was the free scheme). This tells us that there is significant demand for energy efficiency. The UK really wants its homes to be more efficient and as today’s report shows, there isn’t even enough awareness of all of the additional benefits. So it’s really important that the industry gets on track. Given that renovations often require the oversight of building control, there is some motivation to ensure compliance with building regulations. All of our clients are undertaking some renovation work and have worked out on their own that there are clear benefits in performing energy efficiency work at the same time. Once they also understand the comfort benefits, the work becomes a no brainer. This will encourage more take-up and, as the overall cost is lower, less financing and therefore less risk (lower interest rates etc.) will be applied. A number of the problems identified by the Public Accounts Committee will disappear. We agree that better forms of financing will help the market to grow in volume and pay as you save schemes such as the Green Deal have been very successful in parts of the US and in Germany where they have focussed on providing finance for existing renovations. Any new scheme should do the same and ensure that sales efforts are focussed on the existing renovation market, using conduits such as main contractors, architects and the planning system. The really sad thing about the Green Deal is that it failed to tap into what’s obviously a clear desire from the public to do the right thing and make their homes more energy efficient. We need some more entrepreneurial and innovative thinking in this space if we are to make this happen. For example, the Green Investment Bank could provide mortgage finance for more energy efficient homes, or stamp duty could be reduced for homes that have undertaken low energy renovations. What is clear is that no finance mechanism by itself can provide the solution we need to meet the UK’s clear climate change aspirations.